Smart Allergy Friendly Education: Food Allergy Encouragement - "Overcome Your Greatest Fears.. And You Can Overcome Anything"
Food Allergy Encouragement - "Overcome Your Greatest Fears.. And You Can Overcome Anything"
I heard this quote at a recent business conference I attended and was amazed at how it impacted me. The truth in this statement is simplistic and inspirational. As I pondered what message I wanted to share during Food Allergy Awareness Week, this quote wouldn’t leave my head. Coming across this picture of my son brought clarity to my thoughts. S.A.F.E. - "Overcoming Your Greatest Fears"
YES, there is a ton of work to do in our communities to better educate the public. However, I believe one of the greatest gifts we can give our children, particularly those with life-threatening allergies, is to ensure we and they do NOT live our lives in a bubble. EDUCATE your kids on NOT being afraid to ask questions. They CAN’T hesitate to ask to see ingredients for themselves. And I don’t want us to be afraid of leaving one another for fear of WHAT IF. At 9 and 11, my kids aren’t yet there. And neither is my husband or I. But we are getting there. The teen years are rapidly approaching and the desire for personal independence is increasing. We ALL need to prepare for the next step of our journey. 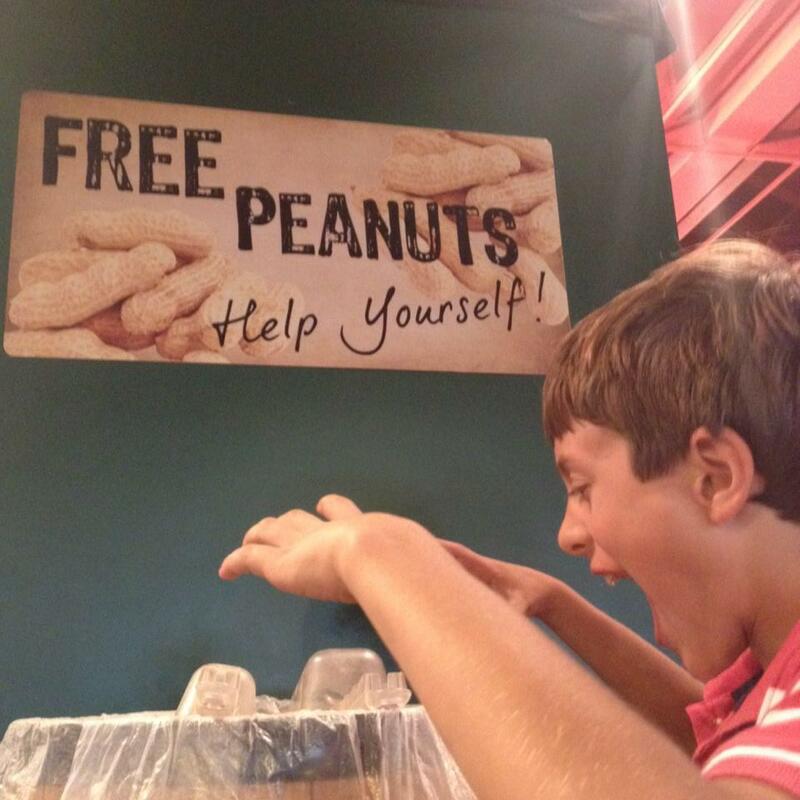 My son was the one who thought taking this picture of himself over a barrel of peanuts and sending it to me would be funny. I was 2,000 miles away when it came through. My heart skipped a beat.. maybe a few. My husband told me he, too, was nervous being so close to this barrel. Yet, he agreed. Then a realization set in. 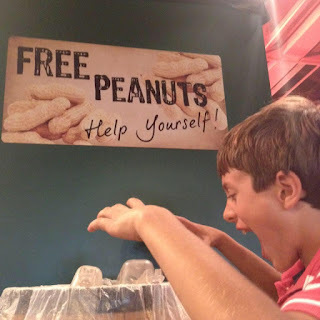 My son is working to overcome his greatest fear – PEANUTS. 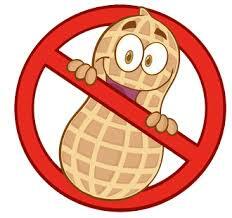 Accidental ingestion of this seemingly harmless legume can be the difference between life and death if he ingests it. And NO MATTER how hard we try, peanuts are still everywhere. I am proud of my son. The site of a peanut doesn’t paralyze him. Flying doesn’t put him into a state of panic. He recently had a friend come over during a last second change in plans to have lunch. His friend brought his peanut butter sandwich, one of the ONLY meals he will eat. His friend was nervous too, but Sam said it was okay. Sam explained the rules about sitting in one place at the table and the need to clean up and thoroughly wash his hands. As my husband and I paced as non-chalantly as possible in close proximity, those boys sat calmly laughing and having lunch together. Another milestone for us all. Yes, we get nervous with every new close encounter with peanuts, but this is the real world. My husband and I believe our job as parents is to prepare our kids to take care of themselves. To KNOW what to do if the ‘WHAT IF” happens. Do they have their Benadryl? Do their have their epis? Do they know how to use them? Do they know how to ask for help? I travel the world with my job and I can tell you the world is NOT going to always accommodate their needs. And I don’t want my kids to NOT travel the world because of fear. 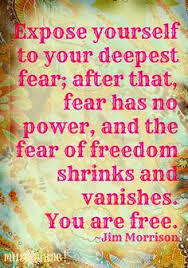 So, together, we are working to ‘overcome our greatest fears’. If we can do this, we can overcome anything, IF and WHEN it happens.